One great thing about Barcelona was the weather! 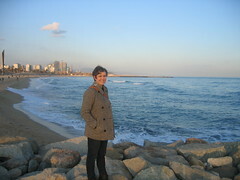 I loved sitting outside in cafes in December and walking on the beach looking at the Mediterranean. This entry was posted in Travel and tagged Uncategorized. Bookmark the permalink.